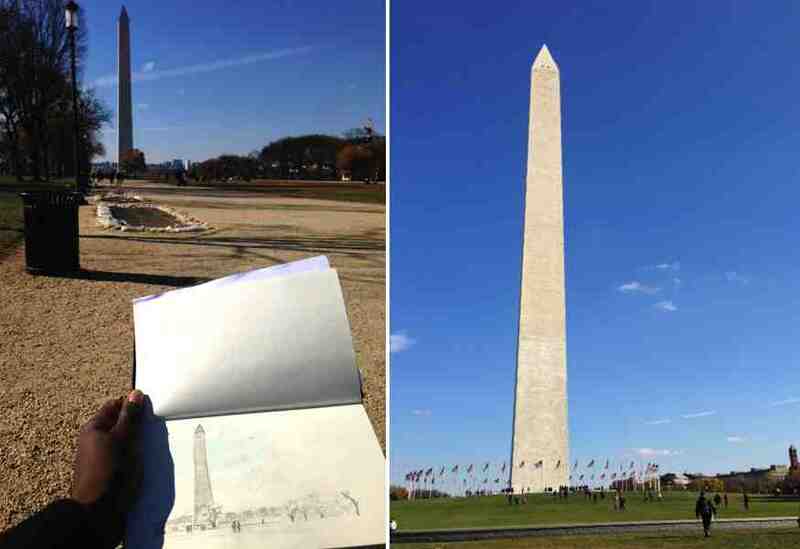 The first place I visited while in DC was the Washington Monument. Right out of the Smithsonian subway station, I had a great view of the monument. It wasn't too cold so I sat on one of the benches to do a quick sketch. It's a rather simple structure to sketch, so it didn't take too much time. I finalized the colours in the hotel room later on so that I could visit as much as possible while I was there that day. The site is HUGE! 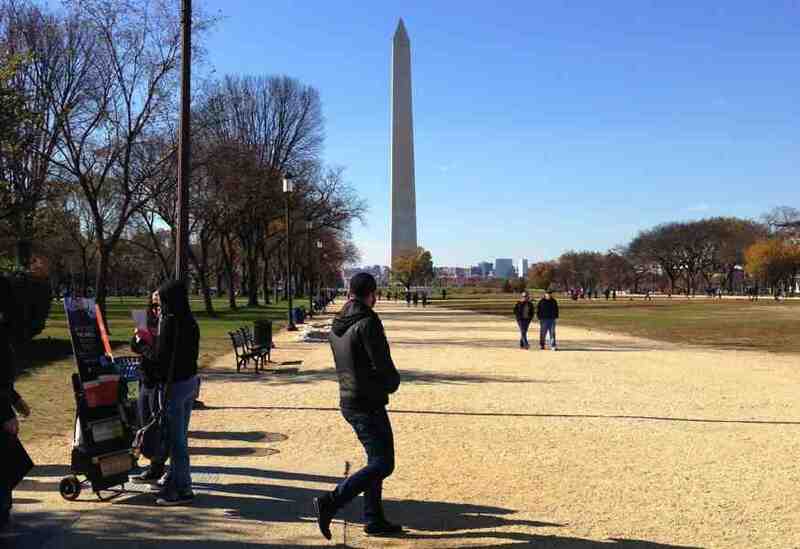 It took a little while for me to get to the Washington Monument. It is very well designed with American flags perfectly surrounding it. Many people were taking all kinds of pictures around it. I think you can also visit inside for a fee and get a view from the top. There are two little windows on top that are lit with red lights at night. Hopefully I'll get a chance to go up there next time. 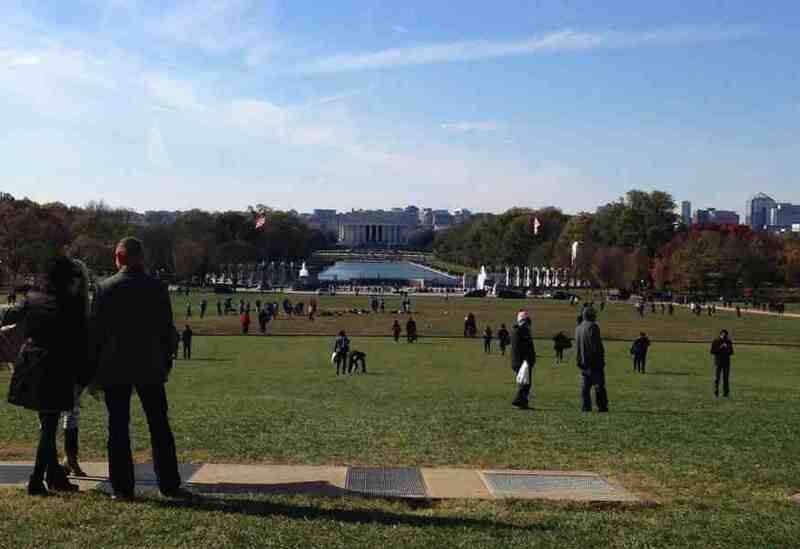 From the site of the monument, I could see the Lincoln Memorial and I wanted to go check it out. So I started the long walk toward the Memorial, shown above from the Monument, with the World War II Memorial and the Reflecting Pool in between. I stopped at the WWII Memorial for a couple quick photos. 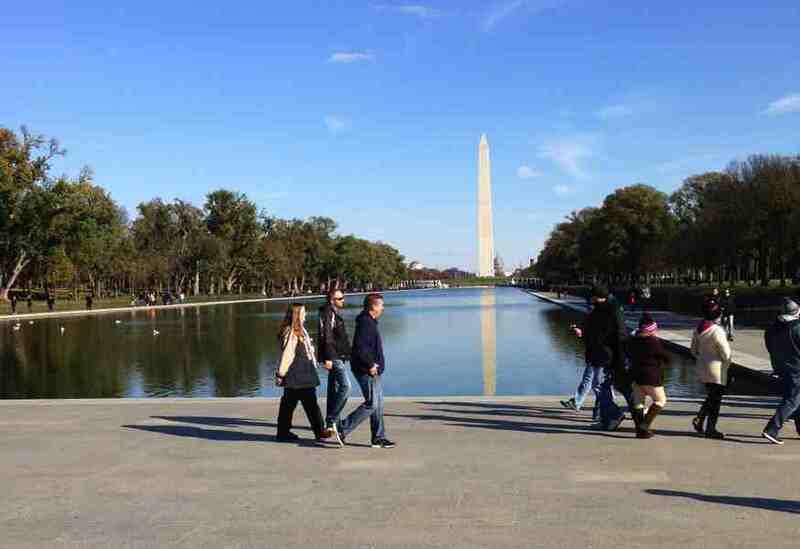 It's obvious that a lot of care was put into designing and building the WWII Memorial. There was a lot of great details and a beautiful fountain in between. 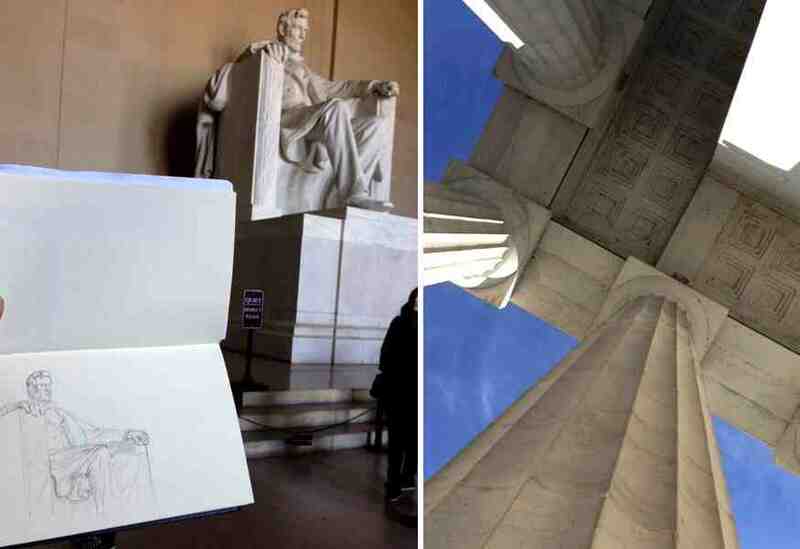 I could have easily stayed a couple hours to sketch there, but I really wanted to go see Lincoln, so after a couple photos, I headed to there. I walk, and walked and walked and finally made it passed the reflecting pool (which is gorgeous) and finally got to the bottom of the stairs leading to the Memorial. It was like some sort of pilgrim. Again, there was a lot of people in and around the monument. 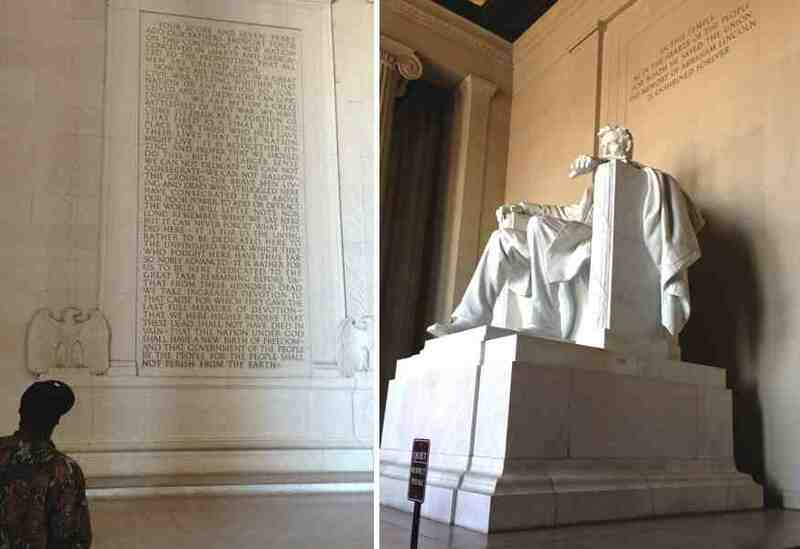 The Lincoln statue is huge. It was getting a little cold by the time I got there but I still did a quick sketch before heading back. The walls surrounding Lincoln had great quotes on them. 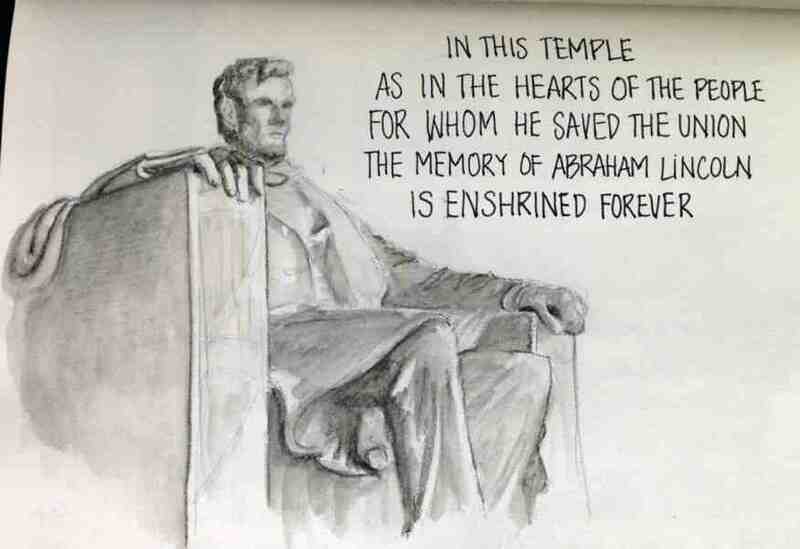 I also notice how it looked like Lincoln was depicted as ready to get up from his chair. 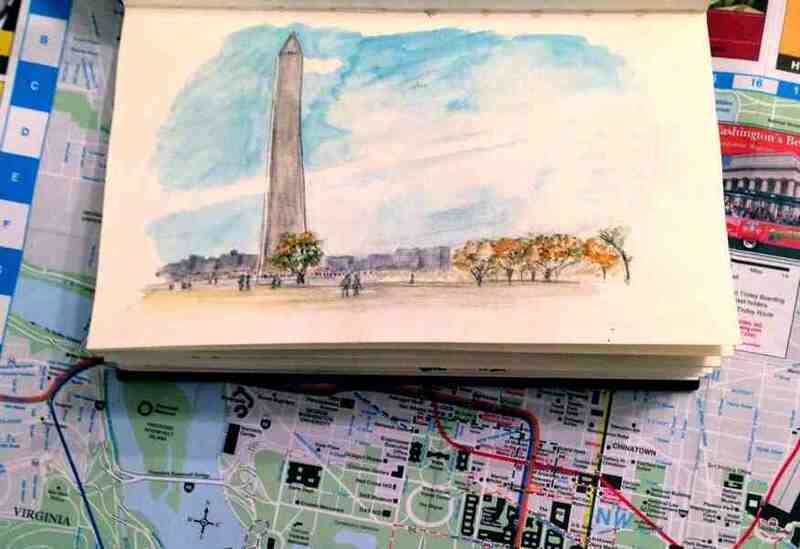 His right hand was relaxed, while his left hand was tense, looking straight ahead towards the Washington Monument. His view must be quite something. Apparently, it's great to see the monument lit up at night. Perhaps I'll get another chance to visit it, hopefully in the summer. You can easily spend two days visiting this area. 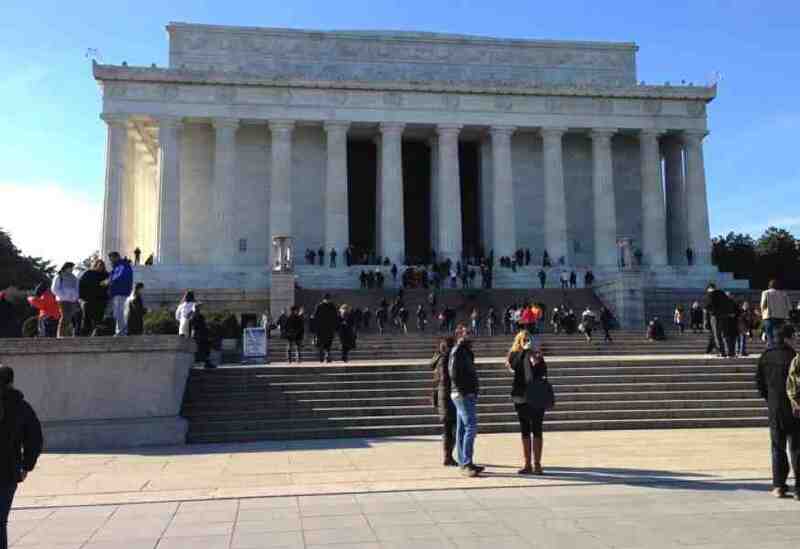 I didn't get a chance to see the Vietnam Veteran Memorial, the Korean War Veteran Memorial, the DC WWI Memorial, the Einstein Monument, the Martin Luther King Monument, the Jefferson Memorial, and many more attractions in this area.